Michele Deconet is one of the most important and prolific masters of the late Venetian School. His work is held in the highest regard for his use of outstanding materials and exceptional tonal qualities. Deconet’s instruments from his early period are considered his best, and this violin is no exception,with its broad arching producing a rich and powerful tone as well as its beautiful amber-colored varnish and flamed two-piece maple back. Deconet was born in Kehl, near Strasbourg in Alsace and served in the French army. He then traveled extensively as a professional violinist before settling in Venice in 1732 and becoming a violinmaker. It is thought that Deconet studied making with the great Pietro Guarneri of Venice. 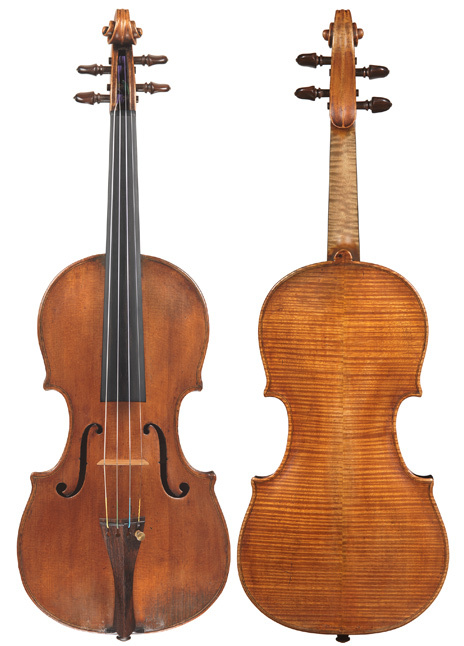 The influence of Guarneri as well as the celebrated Venetian maker Domenico Montagnana can be seen in Deconet’s work, which is in high demand by leading players worldwide. We look forward to placing this extraordinary violin with another outstanding artist.